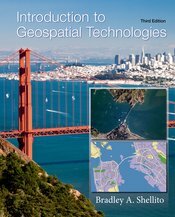 Introduction to Geospatial Technologies demonstrates the wide range of geographic technologies available to and used by geographers. Each chapter contains an introduction to the key concepts and a lab activity, so that in addition to gaining a basic foundation of knowledge students also obtain hands-on learning, practical experience, and exposure to the relevant software. The text is intended for both majors and non-majors interested in the topic. The second edition was successful in its goal to reflect the latest development in the field and showcase how scientists use GIS data with cloud technology. The primary goal of the third edition is to update the content and labs to present the most up-to-date information, which is essential due to the rapidly advancing field of geospatial technology.